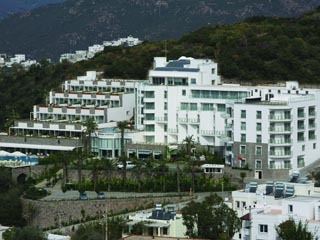 Hawthorn Karaca Resort is a unique way to experience Bodrum, one of the most vibrant cities on the Meditarranean coast. 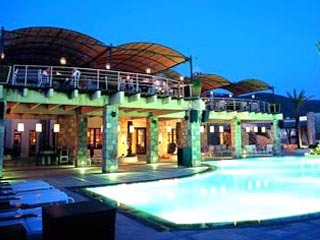 A luxury hotel with its own distinctive character. Open all year, the hotel enjoys the marvellous nature of the Aegean seafront in all seasons, the 90 rooms and suites are all beautifully appointed in a refined contemporary Mediterranean style, most of them with balconies overlooking the ravishing seascape. 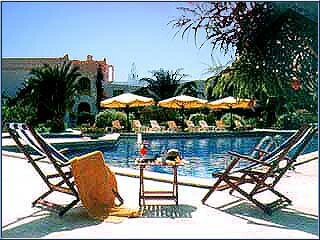 Hawthorn Karaca Resort offers its guests an unmatched personalized service in an exclusive atmosphere. Mixing aspects of contemporary design with traditional personalized service, the hotel is ideal for long aspired breaks in a tranquil yet lively environment. 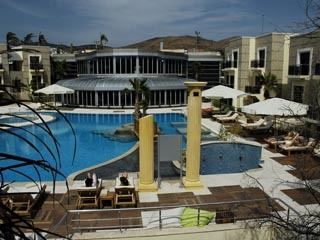 At Hawthorn Karaca Resort attention to detail creates a soothing blend of warm service and harmony. The hotel offers various types of rooms and suites all spacious and elegantly designed aiming at satisfying all types of guests. The hotel has 90 luxurious contemporary rooms and suites consisting of 46 deluxe rooms, 16 studio suites, 26 executive suites and 2 presidential suites are equipped with state-of-the-art amenities designed for ultimate comfort and an enjoyable stay. Whichever room or suite you choose; you will enjoy a great service from the friendly, professional staff and the same high standard of luxury and technology. The Moon Restaurant The 'fine dining' Moon Restaurant offers Far East cuisine and Fresh Sea Food selection with breathtaking panoramic views of Bodrum and Turgutreis Bay.